When most people think of abstract art, they tend to think of art that is difficult to understand without an esoteric explanation by a highbrow, big city art critic or created by an angst driven starving artist in a dusty garret. That is not the kind of abstract art I like to create. My original paintings are usually inspired by nature or music and are intended to lift the spirit. Strong composition, visual texture, bold use of color and trusting my intuition are just some of the elements that I employ in creating works that elicit emotional responses from viewers. My work, at times, may be subtle and at other times vibrant and bold. My journey as an artist began a long time ago. After several years spent teaching art to high school students and several more years raising our 3 sons, I was finally able to devote myself to creating art. What initially started as a project to decorate my own home, quickly became a full-time business of supplying custom art to interior designers. In time, I "discovered" the internet and began showing my work to the world. My original paintings are found in collections throughout the US and Europe. Today, I market my paintings almost exclusively online. 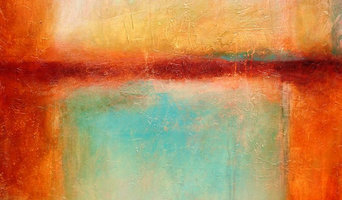 I also teach abstract painting workshops throughout the state of Florida. Alternative Stained Glass is owned and operated by Alex Huggins, an artist in the production of decorative glass. Alex works with paints, films and lead to create fully custom, unique designs. 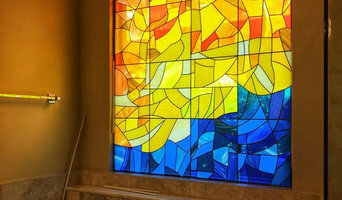 Unlike traditional stained glass, the process allows the use of a single piece of glass which adheres to modern building codes, increases insulation and protects against extreme weather. Each piece is custom designed and hand made right here in Clermont, FL. 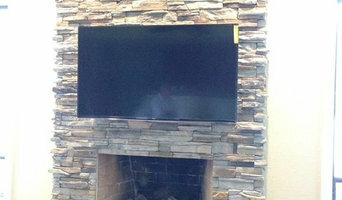 Work can be completed onsite or installed in front of existing windows. Specialize in Stucco, Stone, and Trim. Servicing Pasco County, FL for 10 years, we have never received a complaint. ORIGINALS available at: <a rel="nofollow" target="_blank" href="https://www.etsy.com/shop/ARTbyMARTLEQUIN">https://www.etsy.com/shop/ARTbyMARTLEQUIN</a> PRINTS available at: <a rel="nofollow" target="_blank" href="http://fineartamerica.com/profiles/marcela-mateescu.html">http://fineartamerica.com/profiles/marcela-mateescu.html</a> Canvas Abstract Paintings and Prints by fine artist Marcela Mateescu. ORIGINALS and COMMISSIONS available through: Etsy.com PRINTS from original paintings available through: FineArtAmerica.com Unique and sophisticated, this vibrant art creates a very intense chromatic contrast. A perfect complement to any modern or contemporary environment, public space or home. 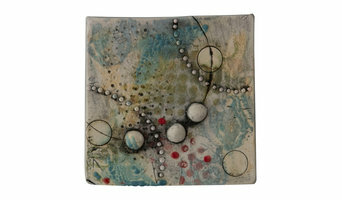 My work is a very subjective distillation of my feelings, inner thoughts, emotions and mood. Each painting is a gestural and emotional process, which evolves organically, spontaneous and intuitive, without planning or expectations. In my permanent desire to bring out my creative truth, my non-objective abstract work continues to be an exploration on canvas of the acrylic medium expressiveness and versatility, using bold vibrant color and strong composition. Painting is my emotional escape. It is a personal expression that becomes a shared experience with the viewer. Art Inherited is the Tampa Bay area's most prestigious art group. We got that way by our continuous dedication to the needs of our clients. When it comes to wall murals, interior design, ceiling murals, painted finishes and scroll design application, there is no better source available. From our creative and innovative art design team to our accomplished and talented artists, our single goal is to make your home even more beautiful. I recently moved from Virginia to Florida and love the inspiration I get from the colors around me. I paint en plein air and in my studio focusing on landscapes, still lifes and abstracts. Contact me if you are interested in commissioning me for custom artwork or check out my website to see available artwork for sale now. I will ship artwork anywhere within the US. Leaping Lizards Pottery was started in 1996 by potter Jennifer Beville in Florida. She participated in Fine Art Outdoor Art Festivals for 20 years selling her handmade lizard, frog and turtle themed pottery. Jennifer now owns a Gallery/studio in Summerfield, FL where she sells her work along with other fine crafts created by many other American artists. If you find yourself near the gallery in Summerfield, Fl you could participate in one of Jennifer's class in Handbuilding in Clay. Murals and More "Art by Mr H"
Custom Murals, Art Prints, Decorative Painting and Surface Design for Clients who wish to be unique and custom. Unique and Environmentally friendly artwork that represents cultures and nature from all 7 continents. Our handcrafted paper is from 100% recycled paper. The original images are from our travel around the world. The custom frames are reclaimed frames made into shadow boxes then painted for the specific piece of artwork.